Cue the Champagne Event Planning and Design, formerly A D.I.Y. Affair Weddings and Events, has rapidly become one of Chattanooga’s most knowledgeable, highly rated wedding and event planning firms among clients, and well respected among wedding industry peers in planning, coordination, and design. 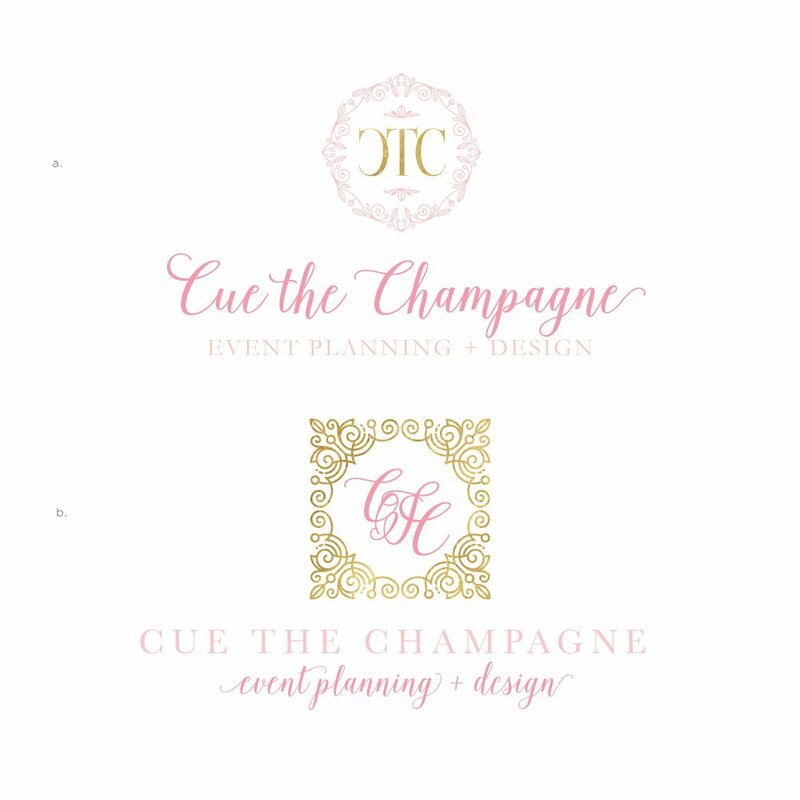 I was so thrilled with Shaun Cox, the founder of Cue the Champagne approached me last year wanting a rebrand. 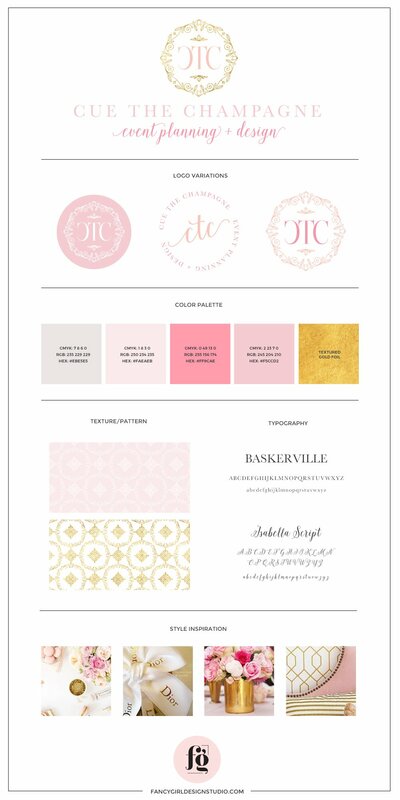 She was changing the company name and naturally wanted a completely new brand identity design. She was referred by another client, and so that made it doubly fun! In our initial discussions, Shaun mentioned that she wanted the logo to be iconic, very memorable, very standout, strong, bold, classy, and timeless. She didn’t want it to be trendy where people will look at it next year and be like ” that is so out”. 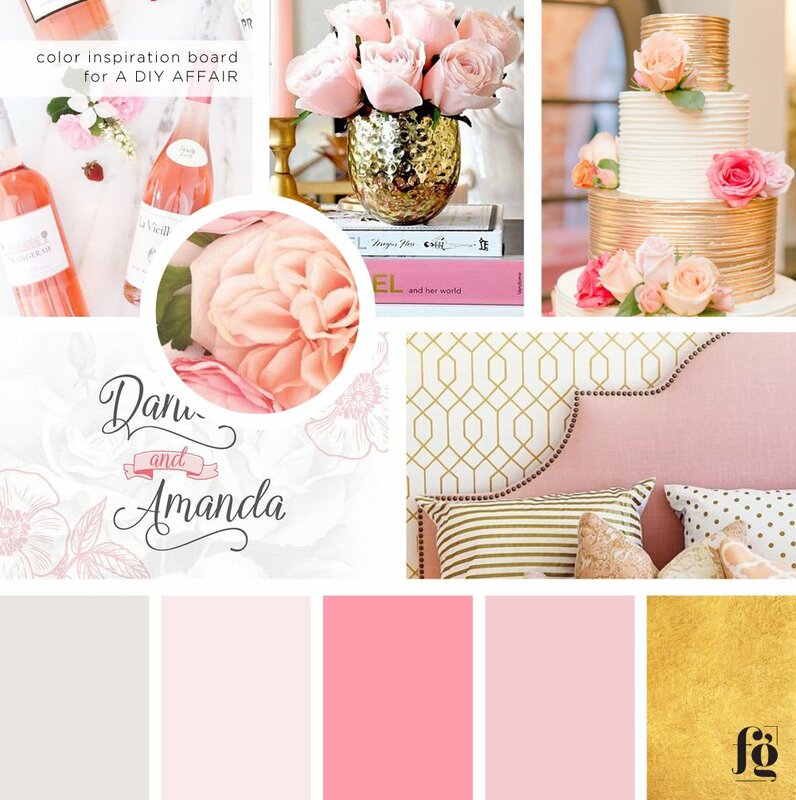 Her moodboard and color palette reflected that vision. These were the logo design options she considered. She chose the first one, with some edits. Here is the final logo design, including the primary logo, secondary logo, and submark variations. I also designed a custom pattern for her brand. 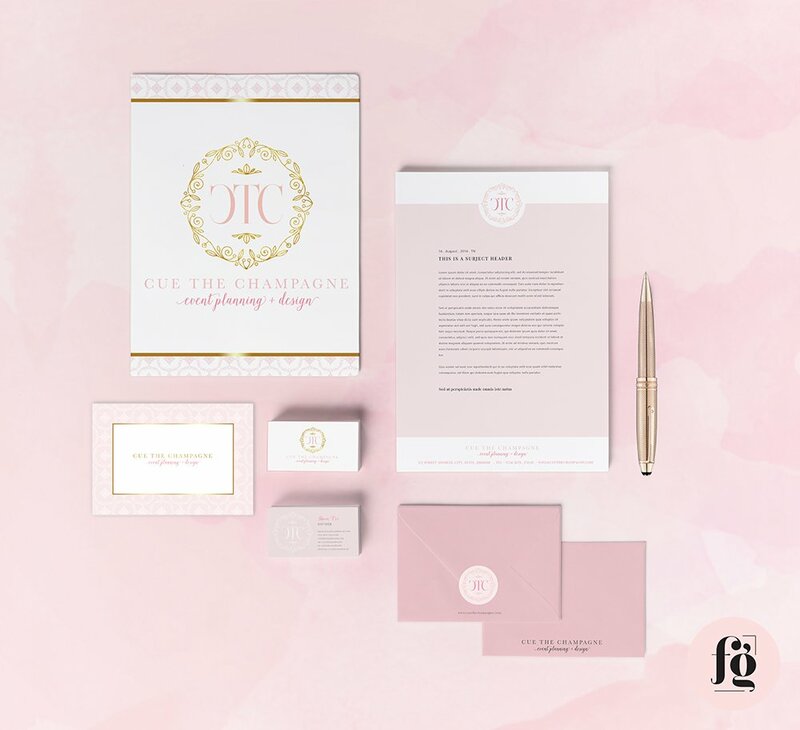 The stationery suite carries on the look in her presentation folder, letterhead, business cards, notecards, and envelope design. 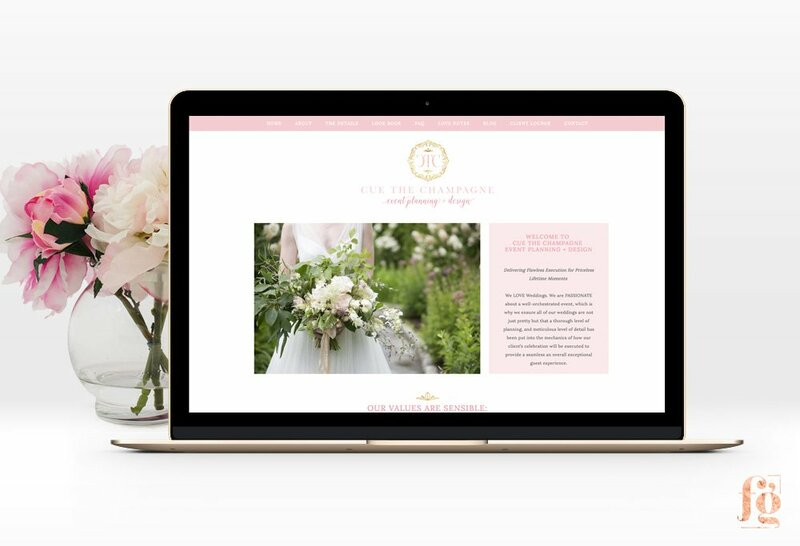 Their website had to emphasize that they are not a design company, but rather an event planning company that makes sure every little detail is in place, and the the events flow smoothly. Shaun wanted the overall message to be that they are an experienced and established firm at the top of their game. The overall look we were going for was modern , chic and polished/professional. The complete home page layout has several sections, giving site visitors an overview of their company. The most highly styled page is the services page. I had fun adding the lace background! Do check out the website! This is one of my favorite projects because of the overall style and elegance not just of the brand identity design, but also of the client.